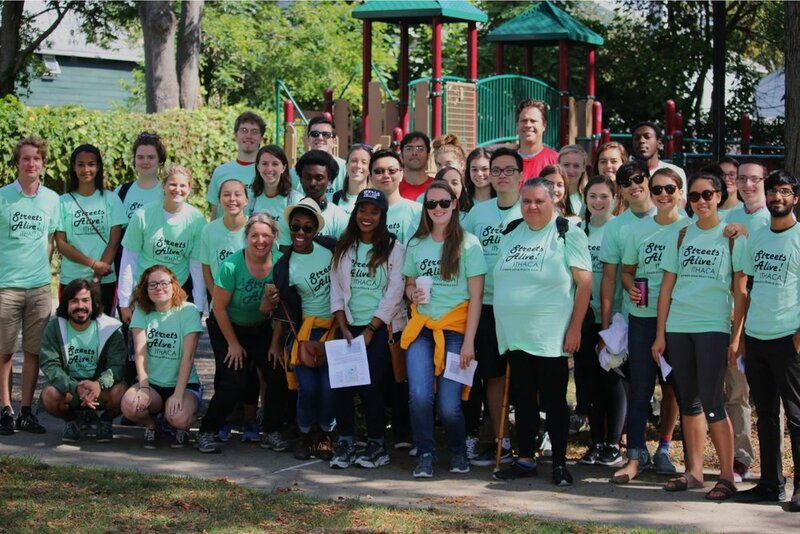 Join the team of volunteer superstars! Walk! Bike! Roll! Jump! Play! Want to share your enthusiasm for biking with others? are safe and convenient for people of all ages and abilities. We advocate for biking and walking improvements, such as with our Blueprint for Better Bicycling work, and promote events & organizations that get people walking and biking. 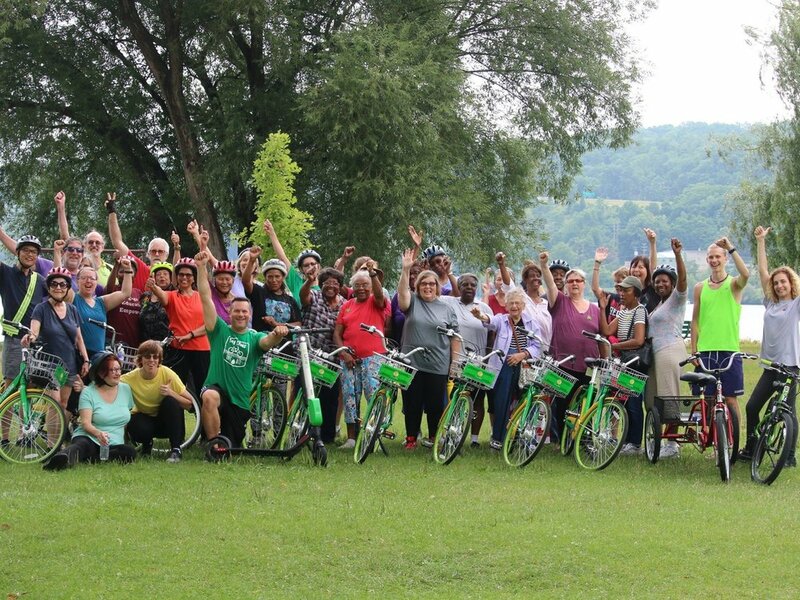 Our Ithaca Bike Champions have organized over 20 events this year to promote safe cycling, and we continue their work with #RideSafeDriveSafe and new initiatives. Learn more about Ithaca's bikeshare system LimeBike, a fun, convenient, and affordable way to move around town. Also, check out our small but growing adaptive bike/trike library. Now in its fifth year, Streets Alive! 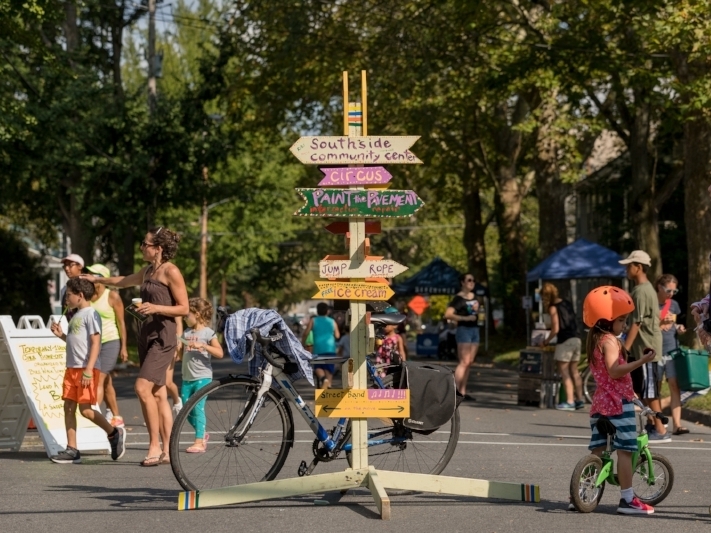 Ithaca is when Ithacans walk, bike, roll, play, and dance on streets that are closed to cars and open to people. Volunteer at the next one, or host an activity. Stay in the know of new projects, cool events, and calls to action for biking and walking facilities. Join the movement! Find what you need in this comprehensive list of bike shops and rentals, community groups, and maps of routes and trails in Ithaca and Tompkins County. Missed one of our events? You can learn how to bike and drive safer from the comfort of your home by watching two videos from our friends at NYBC. From Streets Alive! to the occasional film festival and bike ride, we have events at all times of the year... even in winter! Check out our calendar on Facebook. We've partnered with Bike Index, a free nationwide non-profit online bike registry. Register your bike at our offices or community event to get the sticker. Contact us in whichever way you'd like: email, phone, Facebook, even snail mail! If you want to donate or volunteer, we like that too.